- The Perfect Family Day Out! 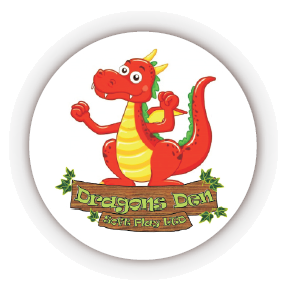 Dragons Den Soft Play centre is the PERFECT PLACE to spend time as a family. If you haven't visited yet please come along with your little ones, whether they are very small or not so small, and join in the fun. We have a toddler area plus 2 soft play frames and soccer area, plus if you are in the mood then "have a dance with your little ones in the disco area"! Our party rooms are ideal to celebrate their birthdays - let us do it for you and just enjoy the day. Please take a look at our Party information page. Mother and toddler’s groups welcome. Our Snack Bar & kitchen is open weekdays and weekends. Come along and relax with some refreshments from our snack bar while your children have lots of fun in the soft play!!! We will be running this the first Wednesday of each month please ring for more information. We always recommend that you call before travelling or check out information on the news page, as we sometime close early for private parties or other special events. The first Wednesday of each month we link up with Cynon Valley Pals and close at 3:30pm for our monthly session for parents with disabled children. See you Soon!